VOSS.farming "Tabanus Trap" horsefly trap! 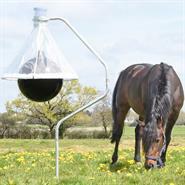 This trap has been designed to bring together all the best proven technologies from previous horsefly trap models. 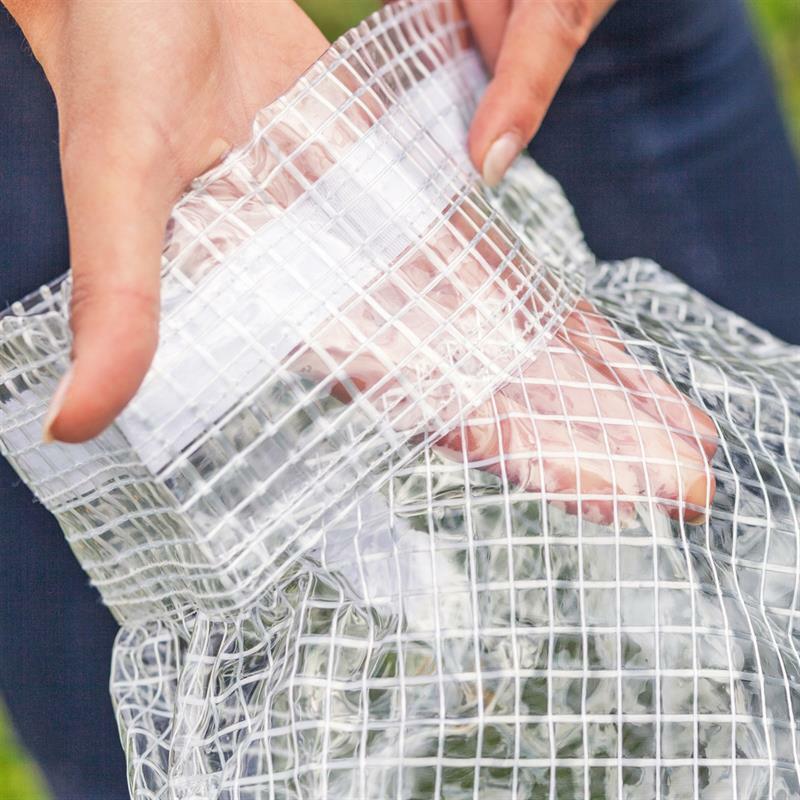 People and animals who are plagued by horseflies will finally get some peace. For many people and animals, horseflies cause anxiety, pain and fear. Horseflies are the largest type of gadfly and most feared by those with allergies to their bites, particularly by horse and cattle owners. 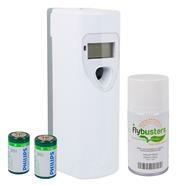 The 2 cm long insect inflicts painful wounds, carries the EIA virus, lyme disease and can result in allergic reactions in humans and animals. 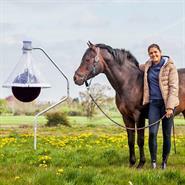 To avoid gadflies and painful bites, horse owners and allergy sufferers look to the tried-and-tested horsefly traps. These are free of toxins and harmless to people and animals. 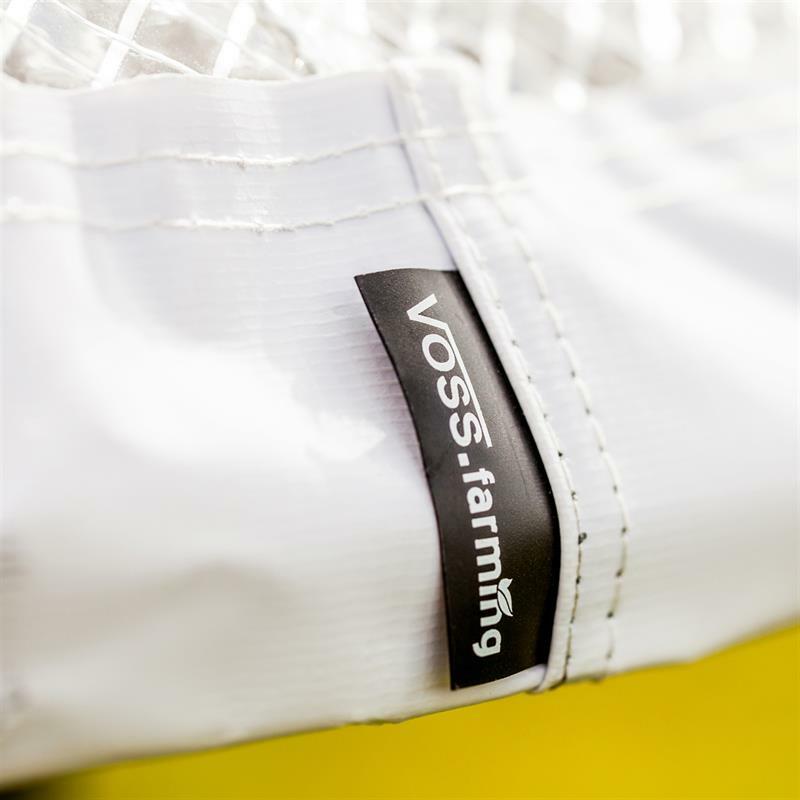 The VOSS.farming "Tabanus Trap" brings together all the best features of the previous models. 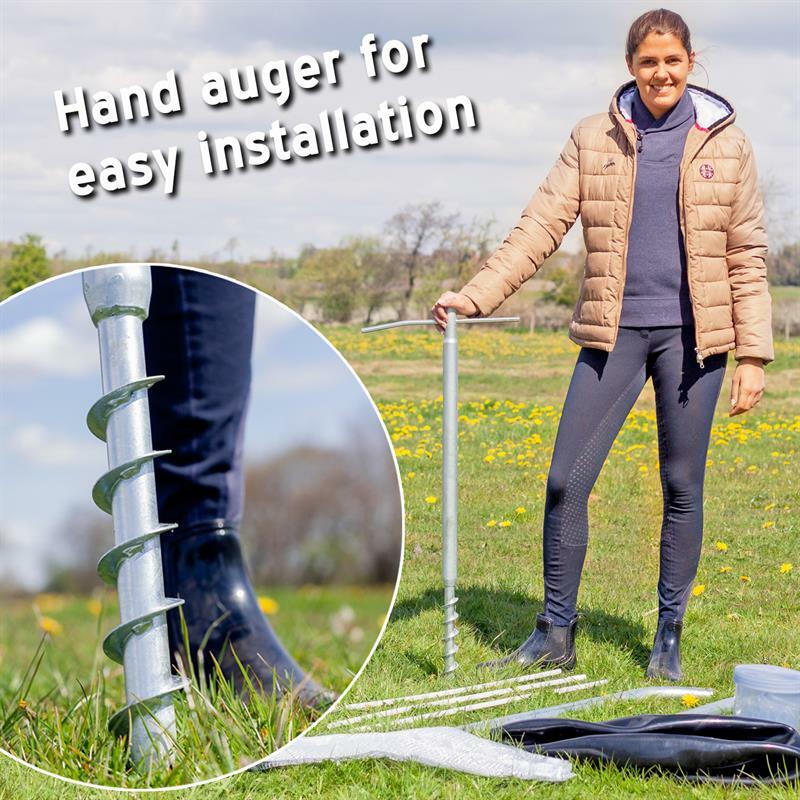 It has a solid integrated hand auger, making this horsefly trap easy to set up. You no longer need a hammer to install it. The "Tabanus Trap" is also equipped with a solid tried-and-tested clamp. 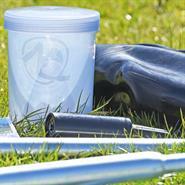 The catch container is easily replaced and removed. 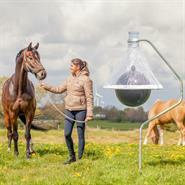 The "Tabanus Trap" from VOSS.farming attracts 95 % of all horseflies with a maximum effective area of 2.5 acres (10,000 m²). 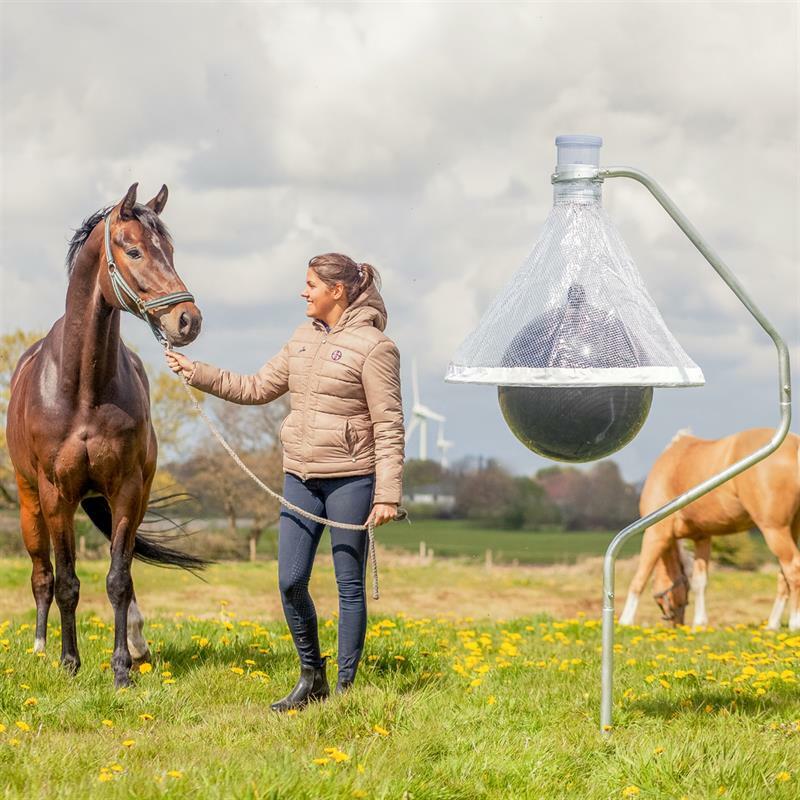 You can set up the horsefly trap in a horse paddock, cattle pasture, on a golf course, in a garden, near lakes or rivers, or anywhere you like, however it needs direct sunshine to be effective. People and animals can quickly and easily enjoy the horsefly-free zone. "Tabanus-Trap" is the best horsefly trap on the market. 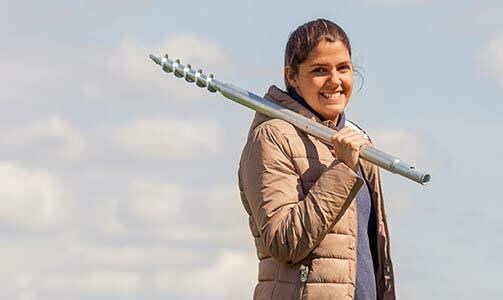 A crucial improvement is the ground post which is a very powerful and strong hand operated auger. 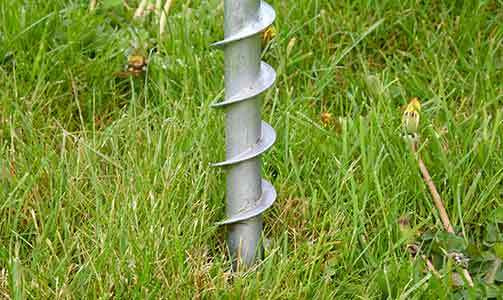 The post can be quickly and easily mounted anywhere, even on rocky soil. 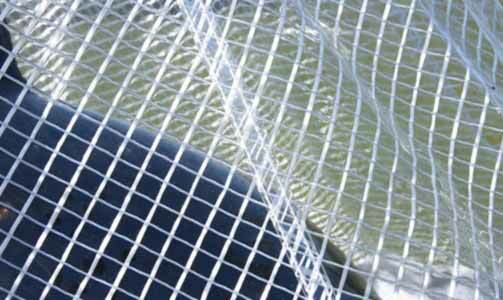 This system also allows for frequent repositioning of the trap. 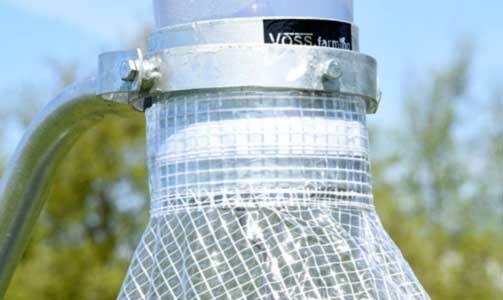 The improved funnel has a specifically designed UV-resistant Solar Membrane to allow maximum sunlight. 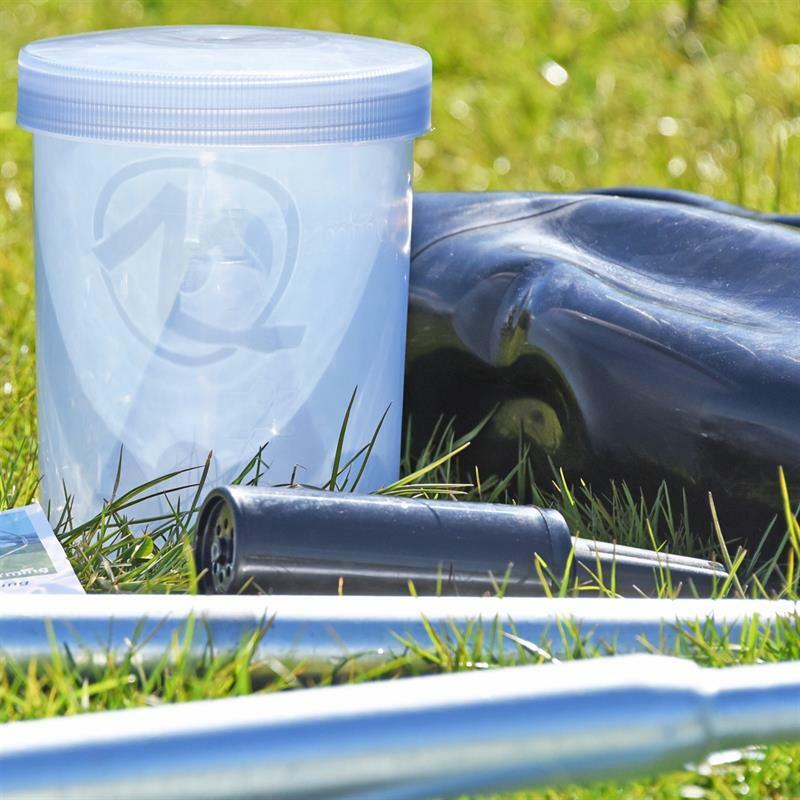 The improved light permeability ensures a stronger heating of the ball, thus the capturing rate is improved once again and the ball requires less sunshine to heat up. 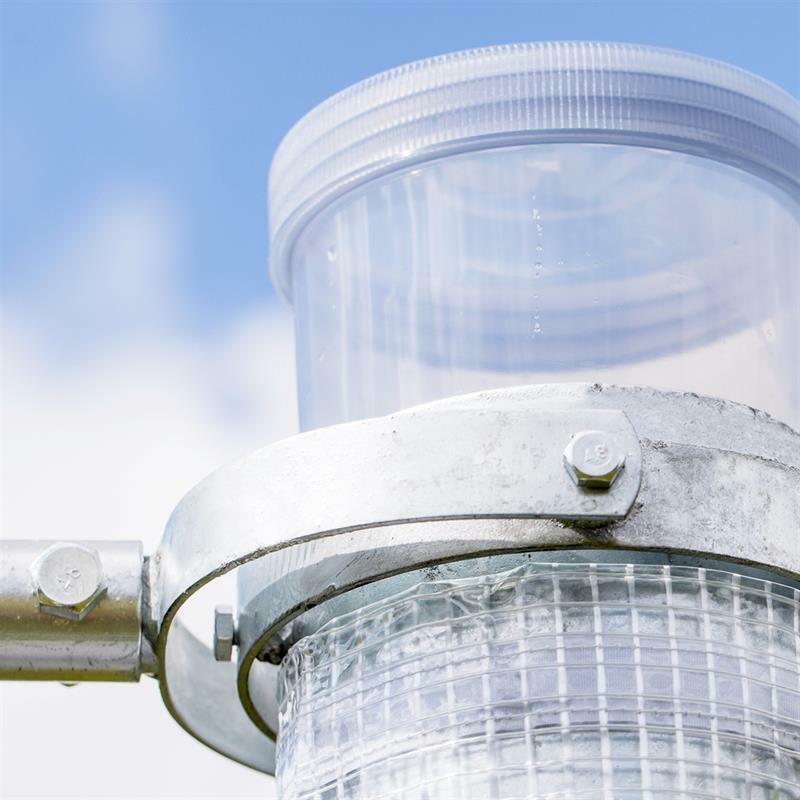 The seams for fastening the funnel, as well as the material, have been strengthened again and a particularly durable Velcro fastener has been introduced so that even in stormy weather excellent tear resistance is guaranteed. 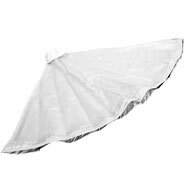 An anti-freeze ingredient in the fabric of the funnel ensures resistance to low temperatures and eliminates the possibility of the material breaking during dismantling and assembly. 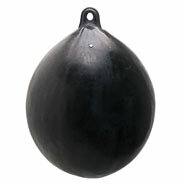 The extra-large, black, rubber bait-ball has an even thicker wall than the previous model. 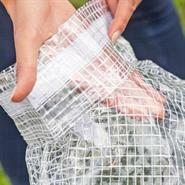 This enables a better heat storage and increases the durability. 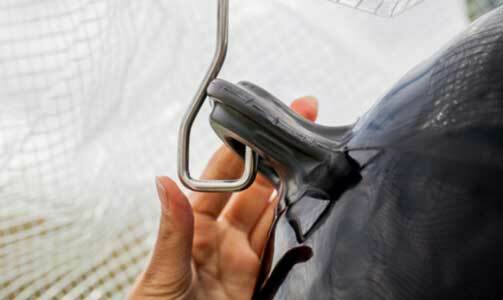 A practical hand-held air pump is included. The transparent capture container with Easy-Clean function is much easier to use and remove than other models. 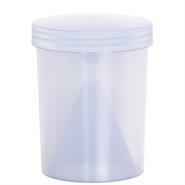 In addition, it has a fill line to avoid over- or underfilling. The container wall has has been reinforced threefold and is therefore particularly robust. 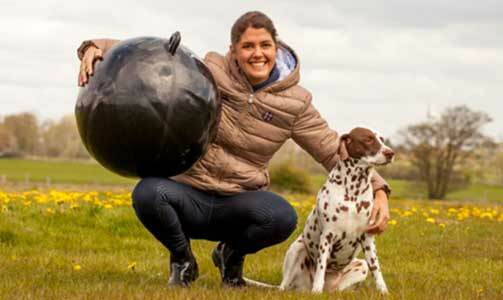 In our tests it did not break even under a load of full body weight (100 kg). How can we offer this trap at such a good price? 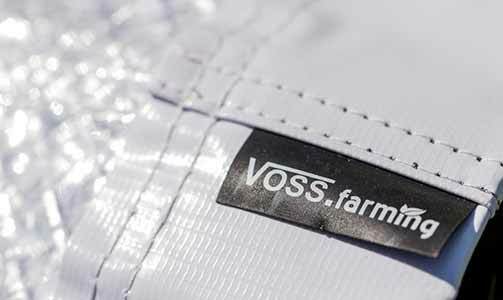 How does the VOSS.farming "Tabanus" horsefly trap work? The principle of the horsefly trap is simple: a black ball looks like the rear end of an animal or human. Horseflies are only able to detect differences between light and dark. 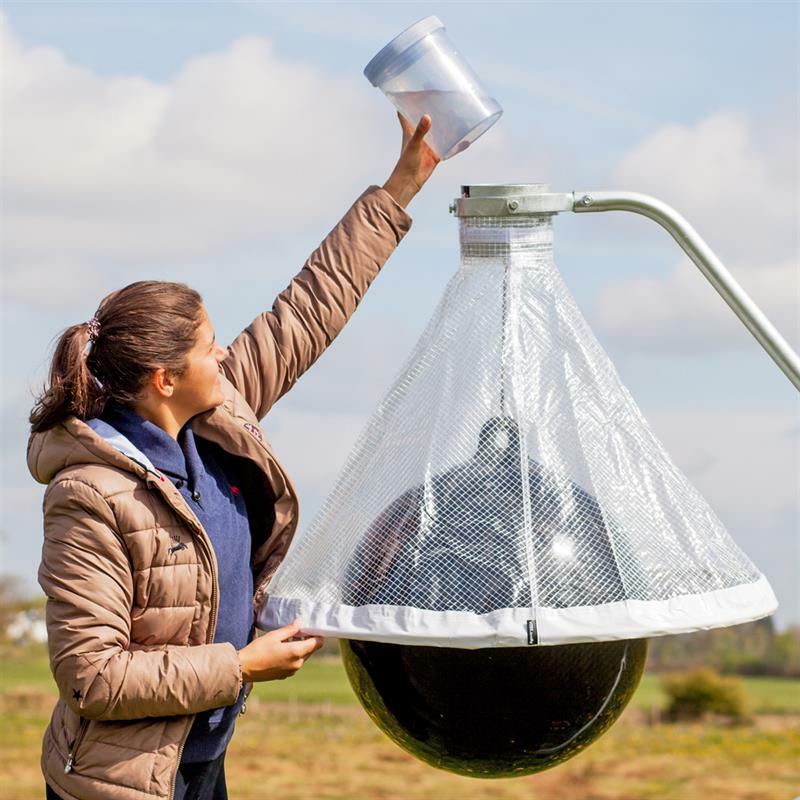 The black ball and the white transparent funnel are the ideal contrast to confuse the insect. 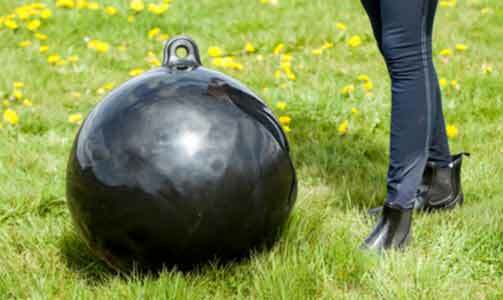 The black ball warms up as it hangs in the sun. The flies then mistake this for a warm-blooded living creature. They attempt to bite the ball, but fail. Their poor ability for precision flying means that they will only fly off in an upwards direction. However, the funnel and trap container is waiting for them there. 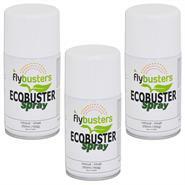 The insect can then no longer escape and fly away, keeping people and animals free from bother. Horseflies usually gather near bodies of water (lakes, rivers, ponds, puddles, marshes, etc.). 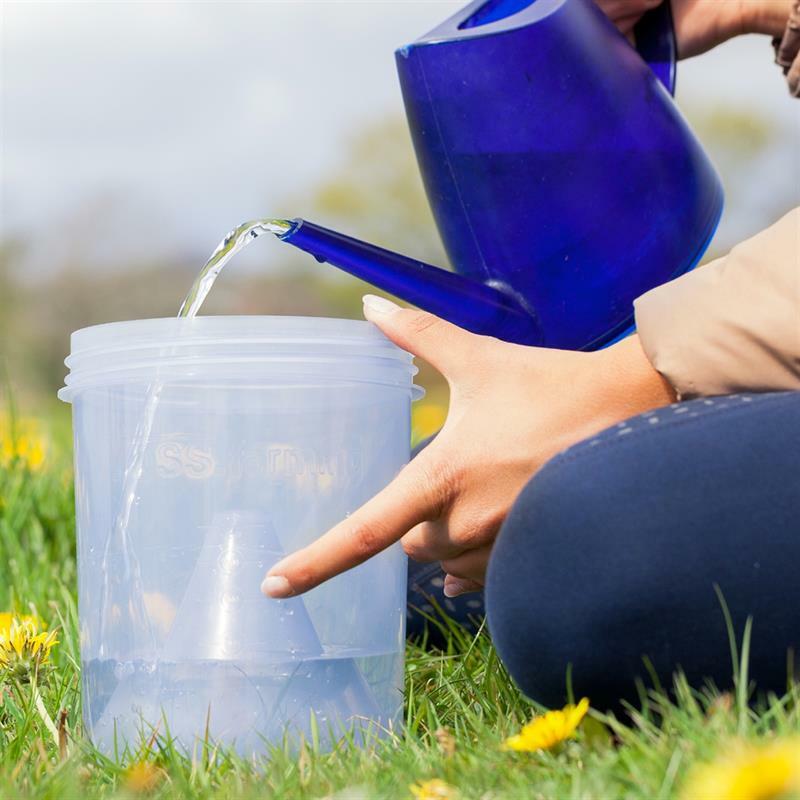 Before you set up the trap, you should determine the flight paths used by the horseflies to and from the bodies of water. Once you have located the flight paths, place the trap/s as close to them as possible. 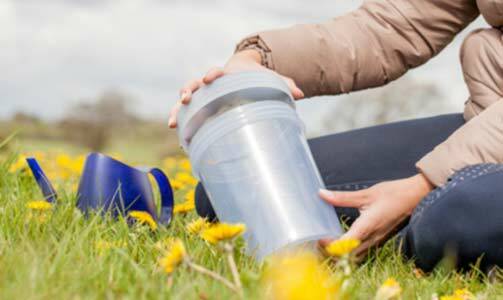 The capture containers must be emptied depending on the capture rate. 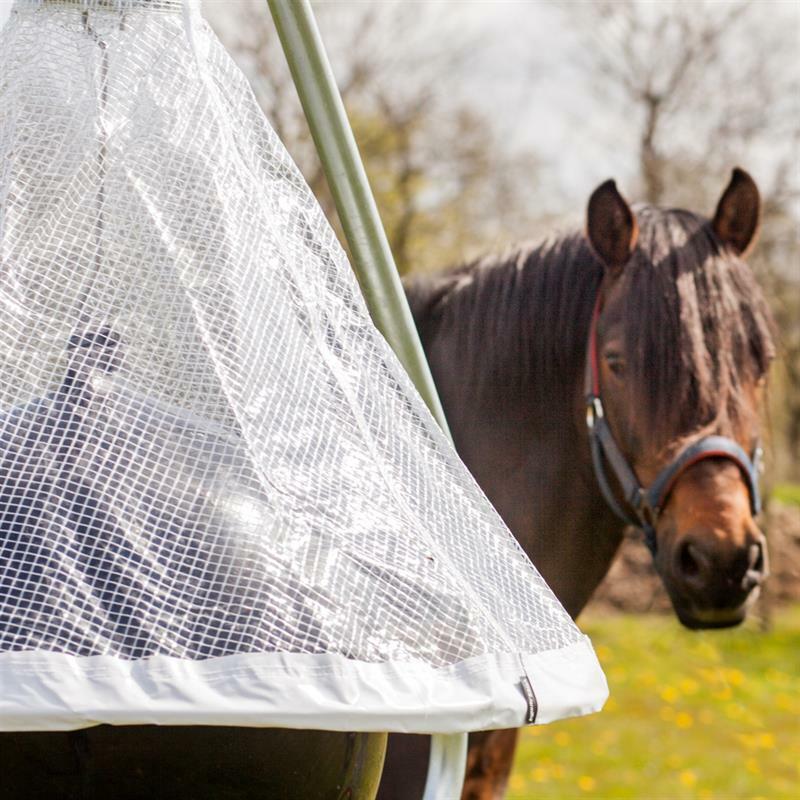 Make sure the trap is set up in time for the emergence of female horseflies, which occurs from April onwards. This is the only way to get rid of annoying horseflies. You should also place a couple of drops of detergent into the water-filled capture container. The surface tension of the water is then decreased and can no longer support the insect. 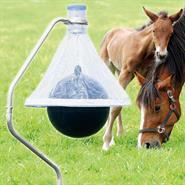 This causes the horseflies to drown. Horseflies bother people and animals. Horseflies are attracted to the heat! The flies mistake the ball for the rear of a horse and try to bite it! ... and are guided upwards by the funnel. Finally some peace in the pasture! Very sturdy well made trap. Easy to assemble by one person. 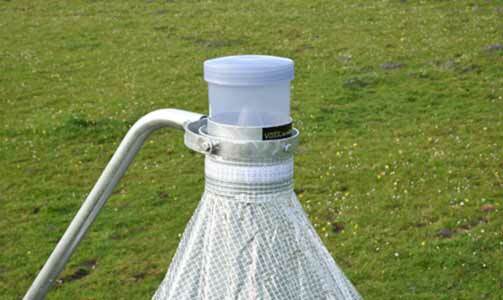 Has had a huge impact on clegs and deer flies around horses field shelter. Astounded at the difference it made in a very short timeframe. Excellent product. Wish I had bought one sooner. 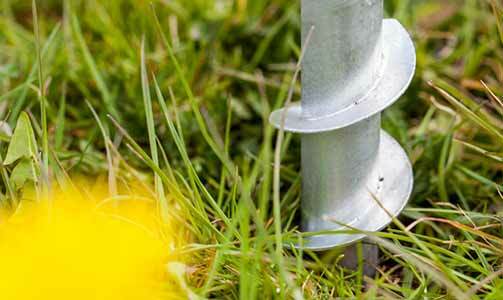 the setup was very simple, the design is very stable on first impression - I can't tell you any experience yet, because the trap was set up yesterday evening.